Claman on Call: FBN’s Liz Claman with an after-hours web exclusive on the markets, oil and Lincoln Chafee’s 2016 presidential bid. A welcome shocker Wednesday as the markets bucked a 70-year-old trend. Since 1945, September 30 has been the worst trading day of the year for the markets; not so this year! All the major averages managed to close comfortably in the green! The Dow jumped more than 235 points. The Dow moved 200 points up or down 20 times in the third quarter. 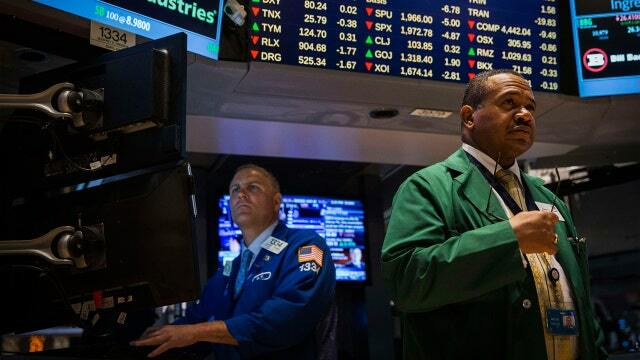 The Nasdaq closed higher by just over 100 points, while the S&P saw gains of 36 points. None of that helped the quarterly history book; this quarter was still the worst quarter in the last four years, with nine out of 10 S&P 500 sectors closing lower, and 23 of 30 Dow stocks falling into negative territory. Leaders on the Dow for the day were Nike (NYSE:NKE), Home Depot (NYSE:HD) and McDonald&apos;s (NYSE:MCD).The laggards included Caterpillar (NYSE:CAT), DuPont (NYSE:DFT) and United Technologies (NYSE:UTX). Here&apos;s what got crushed over the last three months: oil, which settled lower Wednesday and tallied a quarterly loss of 24%. Concerns over a supply glut continue to plague the markets. We are less than two weeks away from the first Democratic presidential debate. While everyone is focusing on the big names like Hillary Clinton, Bernie Sanders and Joe Biden, one candidate who is barely rating in the polls hasn&apos;t given up yet. I spoke exclusively with presidential candidate and former Rhode Island Governor Lincoln Chafee. His big focus? Tax reform and helping the bracket of struggling Americans. As we head into the final quarter of 2015, will we see the markets make a comeback for the year?